In today’s corporate culture, investing in your employees is a key component to retention and hiring. Offering your female employees membership in Mind Body Align is an excellent benefit for attracting and retaining female talent. Whether your company is large or small, we will work with you to tailor a package to fit your organization’s needs. 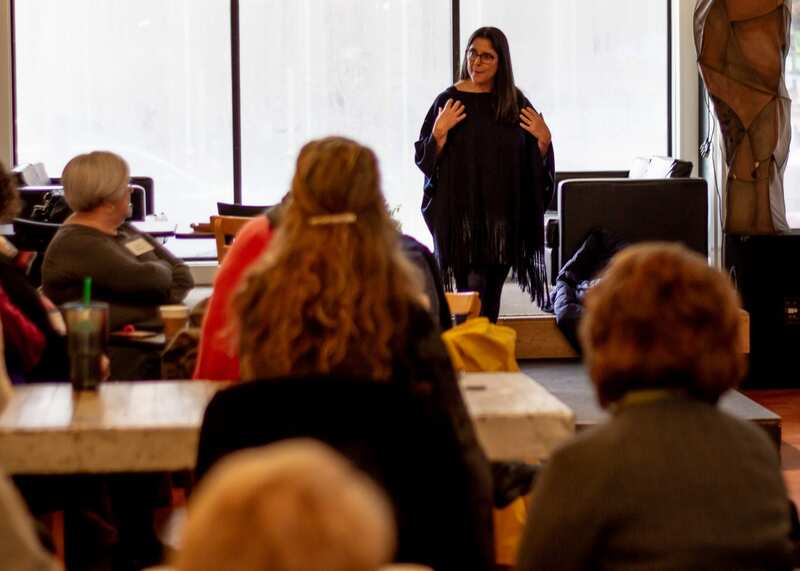 Mind Body Align provides access to a wide array of topics, speakers, and experiences through our programming, classes, workshops, and networking opportunities. Plus we offer access to a number of workshops and retreats that are available to your entire team along with other member exclusive benefits. A way to connect, a sense of belonging, and a path to wellness. . . these are just a few of the reasons to invest in membership at Mind Body Align. Discounts on select classes, workshops, & retreats. 10% discount on select items in the Mind Body Align retail shop. Access to the FREE personal growth lending library in The Butterfly House loft. Being a part of a community of like-minded women. Community involvement through Mind Body Align service projects. Personal & professional growth opportunities. Member perk discounts in local businesses. Receive the first look at original content.